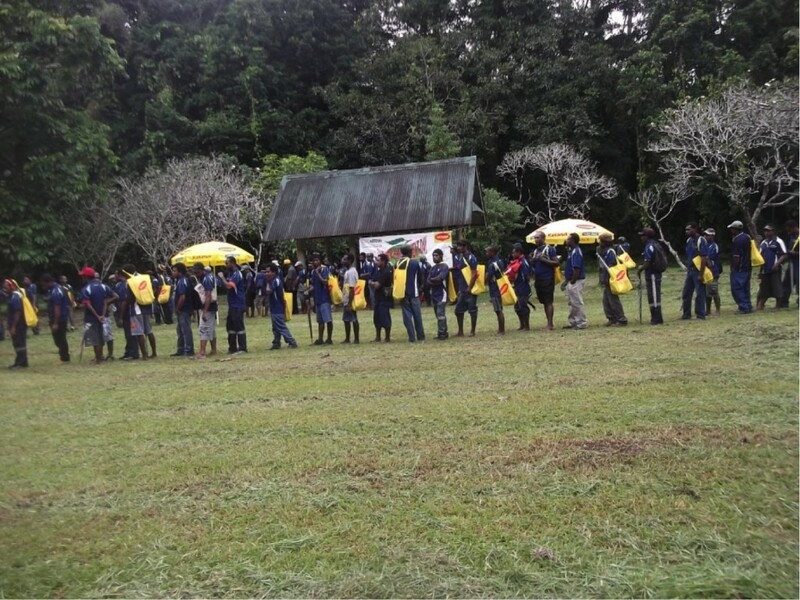 More than 280 Nestle workers participated in the National Botanical Gardens Advancement Program (LAE), last Friday 26 June 2015. As a part of Nestle’s Safety and Community Day the workers worked along the Milford Haven Road side of the Botanical Gardens to clear up foliage, weeds and non-bio-degradable rubbish to help prepare the grounds to open the Gardens later this year to the public. Nestle’s Safety and Community Day was organised to celebrate the achievement of nine years of operation with zero Lost Time Injury (LTI) in Lae Factory and also do some Community Shared Value (CSV) activities through commencing the clean-up of the Lae Botanical Gardens. Our team shared a fabulous afternoon making a real and visible difference. We are enthusiastic to continue supporting the rejuvenation of the Gardens. Nestla is committed to Environmental Sustainability and caring for the local community. This is one way we can actively demonstrate our commitment Nestle’s Lae Factory Manager Sharon Meaker said. The Gardens offer facilities that contribute to the enjoyment of Lae residents and visitors through the expanding of recreational options, the improvement of tourism opportunities, and fostering of cultural expressions. PNG Forest Research Institute and the Friends of the LAE Botanic Gardens are pleased about the rising interest from business houses and other stakeholders. 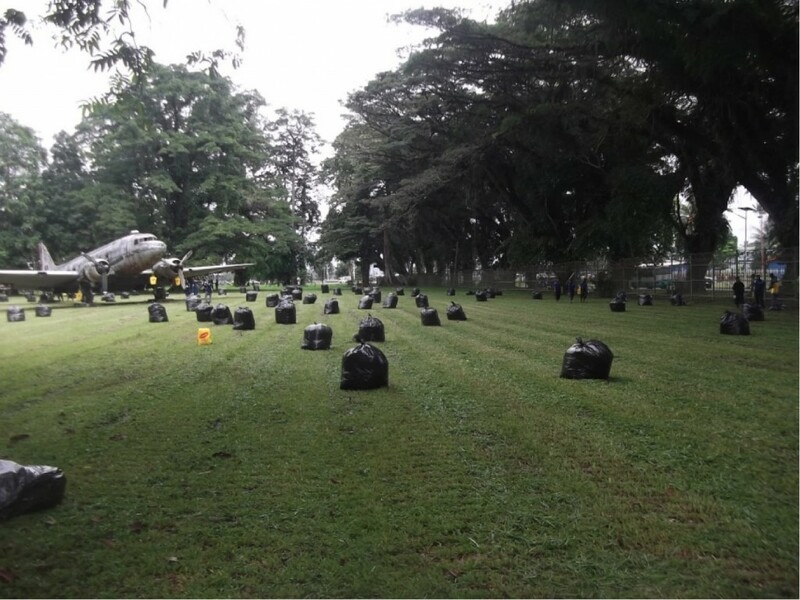 “We are very grateful for Nestle to have shown their support in kind to do a massive clean up of the Lae Botanic Gardens on Friday 26 June 2015. Such a kind hearted gesture of support is a rare ‘commodity’ needless to say, hence must be well commended. Thank you Nestle for your generous support! On this occasion, I wish to encourage the community at large, including both the local, provincial and National Governments, and Business Houses to continue the wonderful gesture of cooperation and support to the newly created ‘Friends of the Lae Botanic Gardens’ and in its endeavour to develop and promote the Advancement Program of the Botanic Gardens”. It is our intention through such kindness and support to revamp the Botanic Gardens to well managed, most natural and environmentally friendly garden in PNG for all to visit and enjoyâ€, Dr Golman, Acting Director of the Forest Research Institute said. Stakeholder collaboration will help to achieve ongoing access to PNG’s natural and diverse environment for recreation, education and research. Friends of the Lae Botanic Gardens and the PNG’s Forest Research Institute continue to invite business, community, individuals and government organisations to support the Advancement Program. A clean up day will be held each Wednesday for all interested members of the Lae community to attend. If you are interested in contributing to the clean up day bring along your tools to the Garden after 9.30 in the morning. For businesses and other organisations and individuals interested in becoming a partner and/or participant in this initiative or require more information please contact Michael Lovave on email: mlovave@fri.pngfa.gov.pg or phone: 472 1041 or 472 4188. Through the PNG Forest Research Institute, Dr Martin Golman (Acting Director of the PNG Forest Research Institute), Michael Lovave (Curator of the Lae Botanic Gardens) and the Friends of the Lae Botanic GardensÂ have been working to deliver the National Botanic Gardens Advancement Program (LAE). 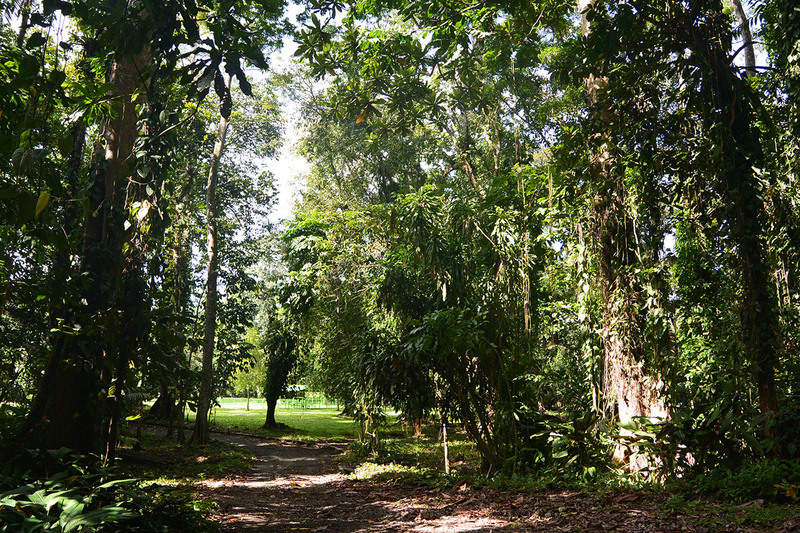 â€œThe famous Lae Botanic Gardens will have its pride restored through the Advancement Program. The Gardensâ€™ natural flora and fauna resources are very much intact and have always been preserved since the Garden was establishedâ€. Acting Director of the PNG Forest Research Institute, Dr Martin Golman said. The Program is in the start-up stage and has recently received some fantasticÂ support from Bishops to equip workers to start preparing the grounds within the GardensÂ as part ofÂ the Programâ€™s initial implementation. Bishops generously donated uniforms, trousers, work hats, safety glasses, safetyÂ boots, tools and safety equipment. Pictured above: Bishops Lae Branch Manager Brett Watson, with warehouse staff Samson Ninge and George Waruf with Michael Lovave, Curator, Lae National Botanic Gardens. â€œBishops are always happy to promote good work in the community, the LAE gardens have been an under maintained gem in the town for many years and itâ€™s a pleasure for us to provide some assistance to help bring the gardens back to life so that families and people in general can admire and use them once again. Obviously there is a lot of work to be done but Iâ€™m sure that the end result will be well worth whileâ€. Bishops Lae Branch Manager Brett Watson said. The importance of equipping workers with the necessary tools to bring them together to begin and the encouragement through support from local business, the community and the local and national governments is an integral part of the Programâ€™s success and Friends would like to take this opportunity to thank everyone for their support. Â Friends of the Lae Botanic Gardens continue to invite business, community, individuals and government organisations to support the Advancement Program and get involved in the delivery of the Program. â€œTo realize the potential the Garden can offer to Lae residents and visitors, it must become more people friendly and oriented. Support from individuals, business houses, community and governments is required. The Advancement Program aims to build on existing partnerships and engage new partners to deliver a long term plan to revive the Gardenâ€. Dr Martin Golman said. If you are interested in becoming a partner and/or participant in this initiative or require more information please contact Michael Lovave on email: mlovave@fri.pngfa.gov.pg or phone: 472 1041 or 472 4188.